ATHENS - In the past two and a half thousand years, the temples of the Acropolis have suffered fire, bombing and earthquake. Now, scientists are trying to save them from a new modern enemy: pollution. Standing on a hilltop at the center of Athens, a city of 4 million people, the Acropolis' elaborately sculptured stones have fallen prey to a film of black crust from car exhaust fumes, industrial pollution, acid rain and fires. 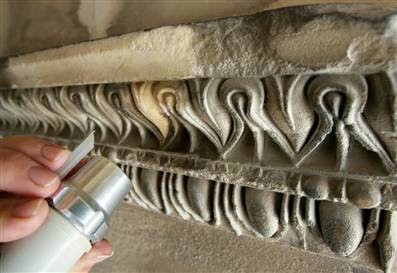 A team of Greek engineers and restorers are using an innovative laser technology system to clean the surface of the ancient monuments, uncovering colors and ornamentation hidden for decades. Amazing. New technology, like lasers that clean are fixing new technology problems - pollution!